It can be REALLY hard to raise your credit score in a short amount of time. Well, it turns out, you can dramatically increase your credit score by making a few smart moves in just 30 days. So, if your score is a little too low, implementing these ideas can help speed up the process and make life easier. Like it or not, credit scores have a big effect on our lives, but most people don’t give it much thought until they need to use it. If you have a low score, not only is it more difficult to obtain a loan, you’ll probably also have much higher interest rates than someone with a higher score. Additionally, you may have a harder time getting an apartment or landing a job if you have poor credit. Your credit score is a number that allows potential lenders to decide whether they can trust you with their money. While this may seem a little heartless, financial institutions need to make decisions quickly, and this score makes their job easier. Your credit score is an important piece of your financial health, and you should how to keep your score in a healthy range, so you can reap the benefits when you need them. Credit scores range from 300 to 850, depending on the reporting agency. Essentially, the higher the number, the better. At its core, credit score ranges group people into buckets based on their credit score. To qualify for the best rates, you’ll want to aim for a score in the 750+ range. At a minimum, keeping your score over 620 can help you qualify for most loans and credit cards. Here are 10 of the best ways to increase your credit score fast. Perhaps the single most important thing you can do to help your credit score is to make sure your credit report is accurate. I recommend checking at least twice a year through a service like Credit Sesame. Removing bad or inaccurate information from your credit report could raise your score a considerable amount, depending on your findings. I once discovered that one of the credit reporting bureaus had my student loans listed twice so that it looked like I had twice as much debt as I did. Another time, my husband’s report listed my social security number instead of his. Read your report carefully! Look out for old debt that should have been removed, information that isn’t yours, and fraudulent charges. And if you find an error, ask them to fix it. How to file a dispute: If you find something on your credit report that shouldn't be there, you can file disputes at each of the credit bureaus: Transunion, Equifax, and Experian. I’m playing Captain Obvious here but paying your bills on time affects your credit big time. Your payment history makes up a whopping 35 percent of your total score, so regularly missing payments or making payments late can drop your score like a thermostat in the middle of Antarctica. Your credit score could see a sizable improvement from making at least your minimum payment on time every month. I personally set bills on autopay, so I don’t have to remember to write a check or log onto the website to pay a bill each month. This saves me time and, ultimately, money. Having no credit history means no credit score, which is just as bad as a poor score. Using a credit card and paying it off on time every month can boost your score quickly. Bonus Tip: Try to pay your card before the reporting date (versus your due date) to boost your credit score even faster. Your debt to income ratio also affects your score (to the tune of 30 percent). There are several different arguments for paying off credit cards. Some experts say you pay off the one with the lowest balance first, while other experts say to target the card with the highest interest rate. If you want to raise your credit score quickly, I’d say to pay down the credit card that is currently closest to being maxed out. Not only will your score go up, but that credit card is more likely to offer a credit increase – which leads me to my next tip. If you’ve been making on-time payments regularly for at least six months, try requesting a credit line increase from your current lenders. If approved, your debt to income ratio will drop, which tends to improve credit scores fairly quickly. Some cards will automatically offer increased limits, which I always accept. The only time I wouldn’t recommend taking an increase is if you don’t trust yourself not to max out your card. If you know that you spend a certain amount of money on your account every month, make two payments instead of one to pay it off. This can help increase your credit score by keeping your credit utilization low. For example: Instead of paying $500 once per month, pay $250 twice per month. This way the amount of credit you use stays low and is reflected in the algorithms run by credit reporting agencies. If you have more than one credit card with high interest rates, consider applying for a personal loan to consolidate your debt. 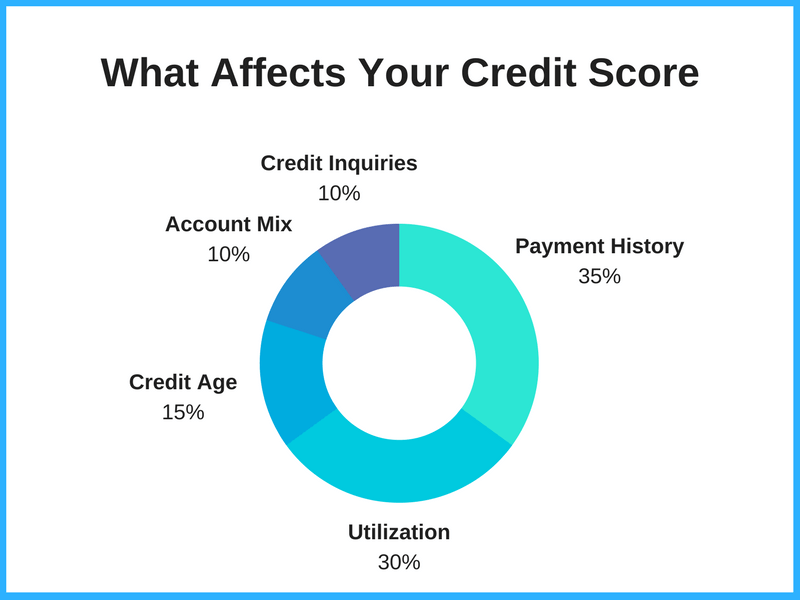 Your score may increase since you’ll have a higher amount of credit available, and you’ll save some money (and headache) paying one bill instead of two or three. A word of caution: Hide your cards if you think you can’t control your spending. This is a popular method to use, but it can backfire if you charge up your credit cards. If you have a close family member or friend that you trust, you can ask them to add you as an authorized user on one of their credit card accounts to boost your own credit score. The account should have a long history of on-time payments with a low balance. Also, it’s good to know that you don’t necessarily have to have access to the account to benefit from the primary account holder’s good payments; you just have to be on the account. Whatever you do, try to maintain your oldest accounts. Aged accounts naturally help improve credit scores since they establish when you first began building your credit history. The older the account, the better. One of the biggest mistakes I see people make is closing all their old credit accounts. Please, I’m begging you, just don’t do it! Cut up the cards, burn them and stomp on the ashes (or melted plastic), but don’t close the account. Credit age makes up 15 percent of your total score and closing old accounts will ding your score. Even if you never use a line of credit, keeping it open helps mature your credit age over time. Think of canceling those accounts like chopping off half of your resume. The experience counts in your favor, so do everything to maintain it. Just because you can do something, doesn’t always mean you should. The goal is to improve your credit score in 30 days, but that doesn’t mean you need to check it all the time. If you do, there’s nothing to fear since your score won’t go down from it, but credit reporting agencies typically update scores just once a month, so checking more often is a waste of time, and could lead to unnecessary frustration.